Things to do in Rotorua, April 2019 - The month begins with the inaugural Rotorua Fringe Festival, and the popular Radix XTERRA Festival. View from the Trigg over Waipa and Whakarewarewa Forest. Tracks are scattered throughout the pictured area including the hills, and that's not the half of it. Daylight Saving ends on the 7th and we'll be plunged into the hellish grip of winter. Slight exaggeration Karen. :) You don't say. Sorry, don't mind me. Anyway, school holidays come in half-way through the month so hopefully mum and dad are already on to it! The Arts Village will have creative activities on the go for the kids and there will be lots of other school holiday activities. You've got some public holidays too with Good Friday on the 19th, Easter Monday on the 22nd and Anzac Day falling on Thursday the 25th. Rotorua Markets: Catch the Night Market every Thursday evening at 5pm, the Flea Market every Saturday morning, the Farmers Market every Sunday morning and the Lakefront Craft Market takes place on the 7th, 20th and 21st this month. Take your pick from a lineup of 11 (including family friendly, others decidedly not for little ears) events to attend at the inaugural Rotorua Fringe Festival. Features theatre performances and a circus at various locations around town. One of the shows, the free Big Little Circus, a 3-piece group described as funny, brave and truly entertaining, will perform aerial acrobatics, juggling and a lot more besides right in the heart of the city at Te Manawa (old City Focus). A must see for the family? Rauru: The concepts of family, identity and loss are explored through the story of Ruby, Ata, and their ailing grandmother, as family secrets are laid bare while preparing for a tangi. Play On: A live script reading of NZ plays that are unrehearsed and unpredictable. Weave: A one-woman verbatim theatre (taking transcripts of real interviews word for word) show, Kate McGill weaves together stories of 20 New Zealanders about what it's like being a Kiwi. Deacon: It'll be an interesting hour with vampire Deacon of "What We Do in the Shadows" fame. Ki Tua o Tahararangi: Listen to the entertaining Kingi Areta Richard Biddle tell Rotorua legends and share his reflections of everyday life. A timed 5km run in and out of the geothermal landscape. Fast, slow, makes no difference. Take the kids along too. Have fun and make friends. Without a doubt, the biggest EXTERRA event... worldwide. 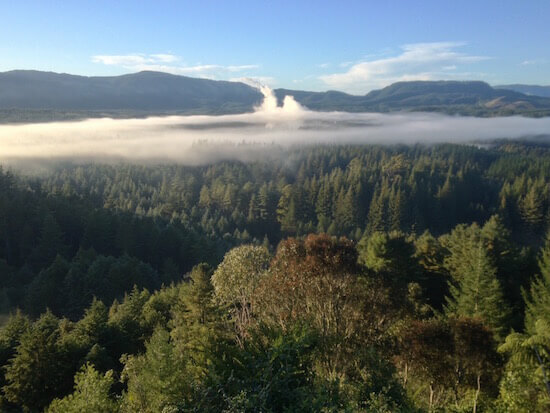 Nine events take place at Blue Lake (Tikitapu) and the surrounding Whakarewarewa Forest. Social or competitive, you can choose between a 5.5, 11 or 21km run/walk, a 26km mountain bike race, or a duathlon comprising an 11km trail run and 26km mountain bike. Individuals and teams can take part in short or long course tri events. Short is a 500m swim, 12km MTB and 5.5km run. Long course is 1km swim, 26km MTB and an 11km run. The Easter Egg Hunt is on! Take your young egg-detective to pick up a clue sheet, find all the Easter letters and solve the mystery word. Once that's done, he/she can enter the draw to win an Easter prize pack. Take the kiddies along to have some Easter inspired fun with crafts and colouring in sheets. Your host: Rotorua Museum. Take part in the Great Rotorua Museum Easter Egg Hunt at the same time. "Hey kids, we're off to see a show where Spray and Wipe (2 cleaners) are going to clean a house." If you said that I bet they'd head for the hills. But then you let out the fact that it's a magician's house, and they accidentally happen to let the magic out of its box, and everything is turned topsy-turvy. Hmm, intriguing. And, the audience must help to get the magic boxed up again before the magician comes home. Sounds like a must see. Most children love animals so should thoroughly enjoy learning about rabbits, guinea pigs, rats and mice. Just turn up on the day but do get there early to grab a park. If you have a young golfer in the family this could be just the ticket. Matt Schofield is a NZPGA Trainee. Over the 3 days he will cover off short game, long game, course play, rules, etiquette, and have fun besides. Well known from the series Sensing Murder, Sue Nicholson is here with a new show. With an uncanny ability to connect with spirit Sue will have many opportunities to enable contact with your loved ones. She will also be taking the audience on an exploration of our spiritual journey to this planet we call home. A field of named crosses, representing local soldiers who died during World War One, 1914 - 1918, will be set up to mark the 103rd anniversary of the Gallipoli landings by ANZAC troops. Competitors from all over NZ racing Superstocks, Stockcars, Modifieds, Saloons, Streetstocks, Production Saloons and Ministocks make for two exciting evenings of full-on action. There's plenty of hot food available and you can even take your own. Rhian Wood-Hill knew just a few things about his father growing up: He was a criminal, charming, good looking, and Samoan. Being raised in Temuka, Rhian didn't have many reference points to his Samoan identity, and his life experience suggests he lacks most of his father's other qualities. Join Rhian in an honest, hilarious account that balances comedy and drama, wild anecdotes and down-to-earth moments. The 500 miles comes in where he walks to each gig of this tour (a retouring). Sounds intriguing. The place to go in Rotorua for live entertainment. Can feature Broadway, Opera, Las Vegas and more, designed to appeal to a broad range of tastes. The food's undeniably tasty too. Look for the Dinner, Show & Accommodation specials. Look forward to the 55th Rotorua Marathon, celebrations around NZ Music Month, Ultimate Frisbee Competition, and the Rotorua Arts & Community Expo.